American Pride Home Inspection LLC focuses on providing the very best home consultations and inspections in Norman, Oklahoma City and surrounding areas. Bob Watson is the owner and principal inspector. American Pride Home Inspection follows the InterNACHI Standards of Practice. InterNACHI represents more than 5,000 professional independent home inspectors and more than 80 chapters across the U.S. and Canada. InterNACHI maintains the most rigorous standards of practice and code of ethics enhancing professionalism in U.S. home inspection services. InterNACHI is the 'Gold Standard' of the home inspection industry. As the largest, oldest and most respected professional association for home inspectors, InterNACHI has the most industry-stringent requirements. Bob’s continuing education provides him the best opportunity to learn about structural and mechanical systems as well as remain current on residential building practices, procedures, and real estate issues affecting the local South Central Oklahoma real estate and housing market. 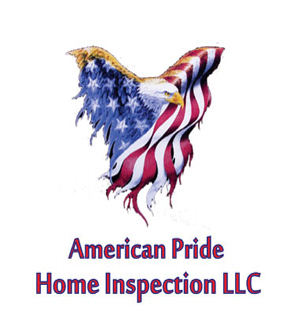 American Pride Home Inspection LLC inspections may take longer than most, because we are very thorough. We not only try to detect and report all the significant major deficiencies, we point out issues or concerns that may avoid future expense and repairs, and also recommend possible upgrades to improve safety and function. Bob explains all findings so they are easily understood, answers your questions and makes recommendations on how deficiencies can be repaired. We may be referred by your agent, but you hire us, we work FOR YOU and only you, it's that simple. Our inspectors are prohibited from receiving compensation (in any form) for referrals from realtors or builders, and performing paid repairs on houses they inspect. We’ll attempt to find every significant deficiency and report it accurately, objectively, without bias. American Pride Home Inspection LLC delivers the most professional and comprehensive Property Inspection Reports in Norman, Oklahoma City and surrounding areas. Our reports are site-specific—jam packed with important information about the property and complete with lots of high def color photos.